Title 1 School Educators: submit a proposal to become eligible for a gift of Magic Tree House books and Fact Trackers for your classroom. This is a competitive program as we have many teachers who apply. Please be sure to read all of the information on this page before submitting your proposal. We have completed our 2017-2018 school year Gift of Books grant awards. If you have submitted a proposal prior to April 30th, please allow 3-4 weeks for a response. Any proposals received after April 30th will be reviewed in September. 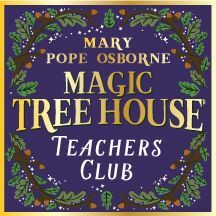 Mary Pope Osborne, beloved author of the Magic Tree House books, developed her Gift of Books program in order to get books directly into the hands of children in a way that sparks their interest in reading and learning while simultaneously accomplishing classroom requirements in creative, meaningful and long lasting ways. 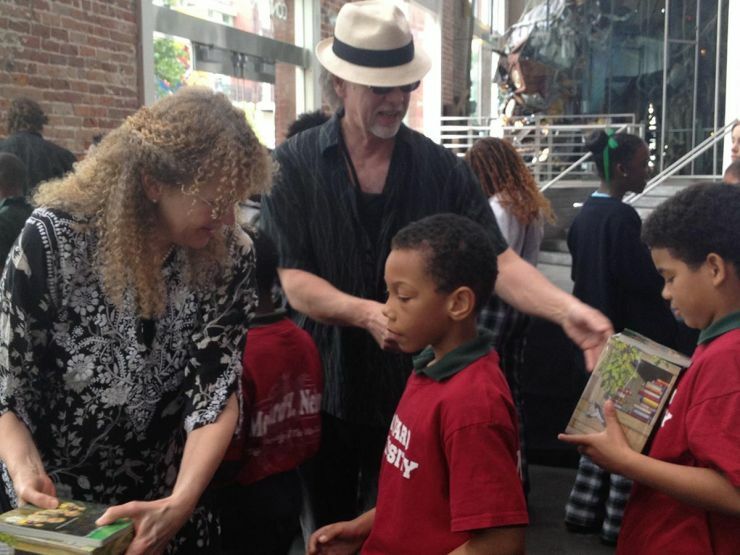 Thousands of teachers across the country who have used Magic Tree House books in their classrooms know first hand how the books foster a lifelong love of reading and learning. 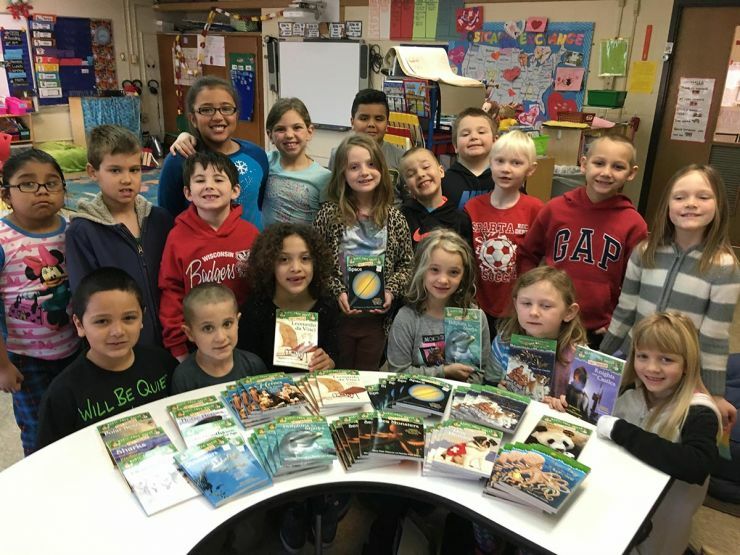 In addition to having access to the resources available for free on this website, educators from Title 1 eligible schools are eligible to apply for a grant to obtain Magic Tree House books for their classrooms. 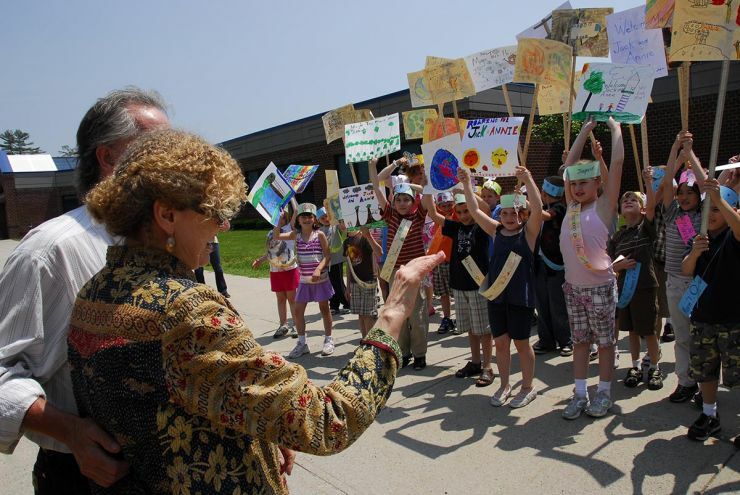 On your Gift of Books Proposal Form, let us know how you would like to use Magic Tree House books and/or Fact Trackers in your classroom, include any cross curricular and/or STEAM use of the books within your classroom, and any other information that you believe will set your proposal apart. Applicant should be a Title 1 school or writing on behalf of a Title 1 school. If not a Title 1 school, applicant must give an explanation of the school's need for the books, citing percentage of free and reduced lunches or other qualification for low income status. After-school programs may submit proposals. Please include a description of the program and statement of low-income status. Schools will be eligible to receive books once every two years. Schools may request books for multiple classrooms within the school. Also, more than one teacher per Title 1 school may apply for a grant. Magic Tree House books and Fact Trackers are effective teaching tools for Kindergarten, 1st, 2nd, 3rd, 4th, 5th grade levels as well as Special Education classrooms. Keep in mind, books may be shared among the classrooms within your school. Proposals will be evaluated by our committee of educators, and grants will be awarded to the schools with the most creative and meaningful initiatives. We especially love to hear how Magic Tree House books and Fact Trackers will be used across the curriculum in your classroom. Winning schools will be notified ​via e-mail ​by a Gift of Books representative with their grant amount and instructions on how to register and obtain their Magic Tree House books through First Book, a non-profit organization providing access to new books for children in need. We will award grants to Title 1 eligible school teachers only. Please allow 3-5 weeks for a reply; we receive a high volume of proposals. 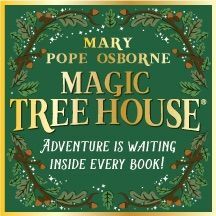 The mission of Mary Pope Osborne's Gift of Books is to inspire children to develop a lifelong passion for reading and to use Jack and Annie’s adventures in the Magic Tree House to explore the wonder of worlds outside their own.